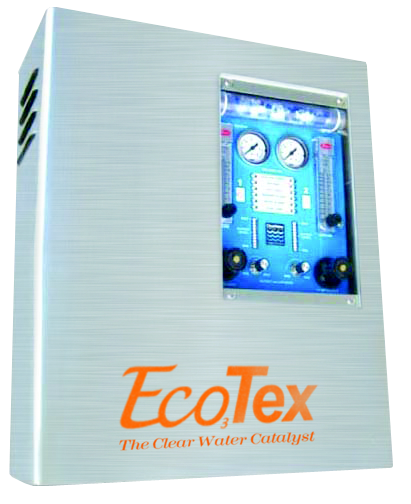 The ECO2 wall-mounted ozone generator has an ozone output rating of 8 grams per hour at 3% concentration by weight. Its stainless steel enclosure and compact design makes for easy installation. Dimensions: 20.50” H x 16.00” W x 7.50” D; 30 lbs.